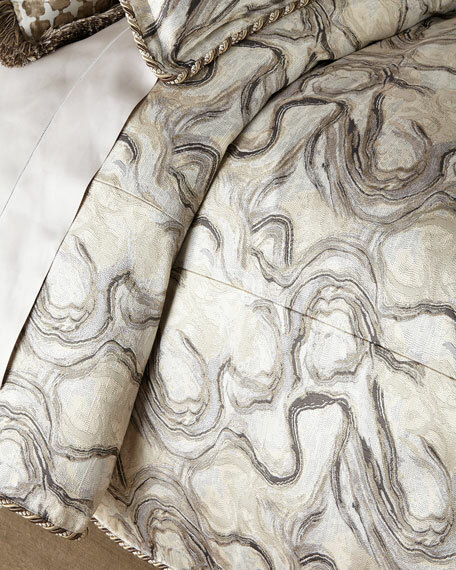 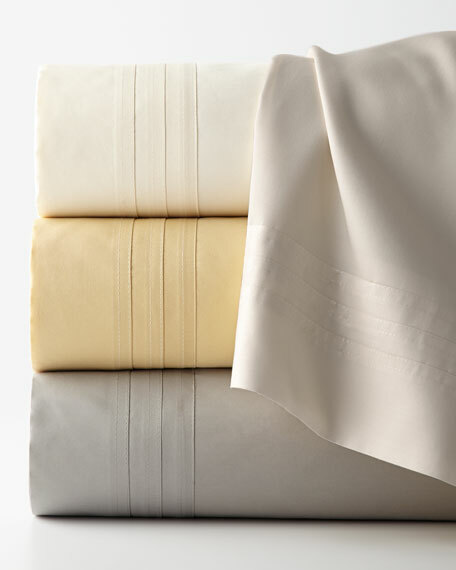 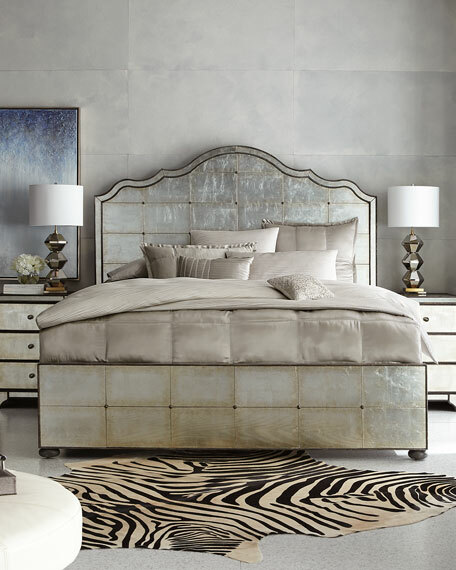 Jacquard stripe linens have a 320-thread-count cotton sateen reverse. 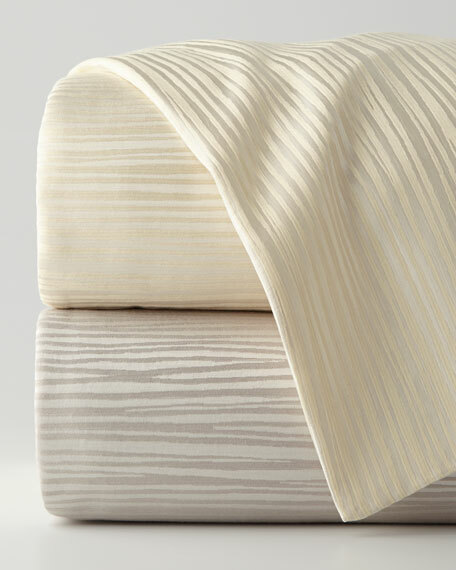 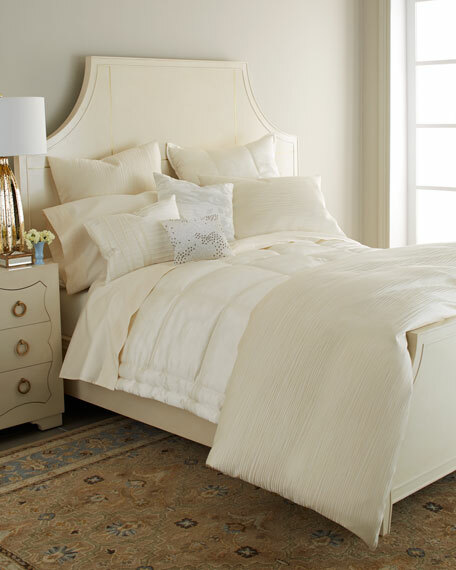 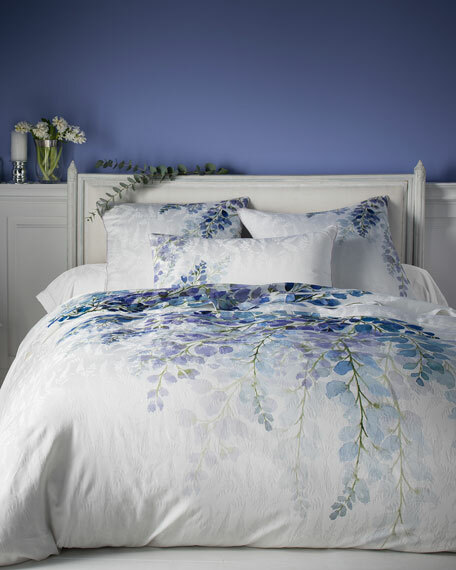 Jacquard stripe sham has a 320-thread-count cotton sateen reverse. 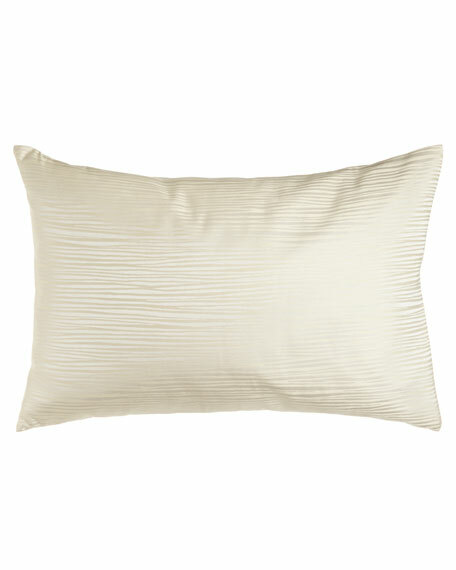 Donna Karan Home Reflection Sequin Pillow, 12"Sq. 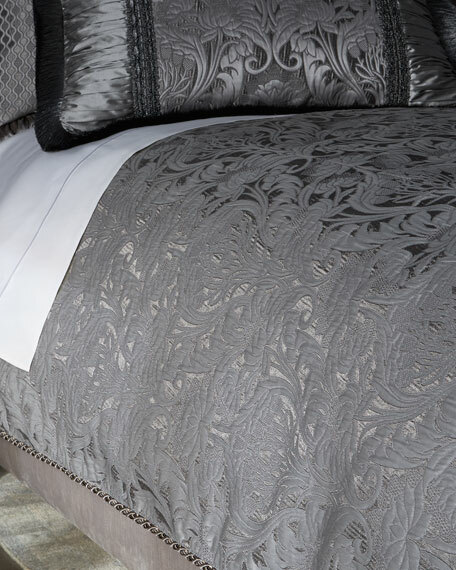 Accent pillow has a feather and down fill. 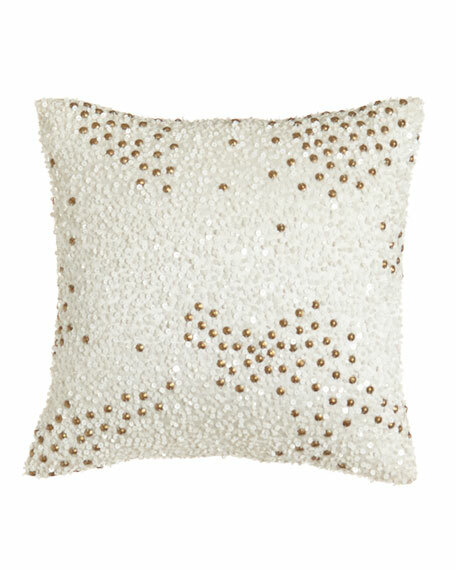 Pillow with sequins and studs is polyester taffeta; 12"Sq. 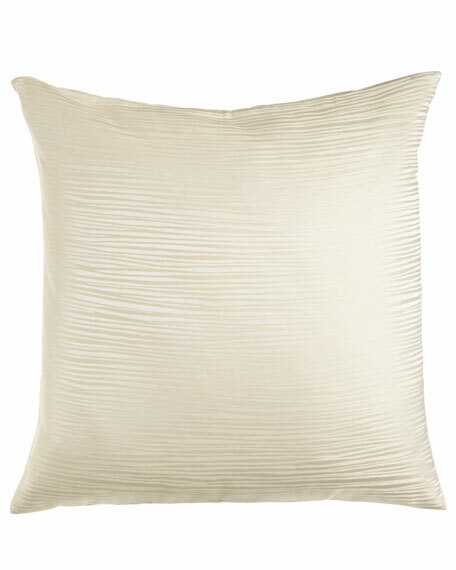 Reflection Pleated Pillow, 16" x 20"